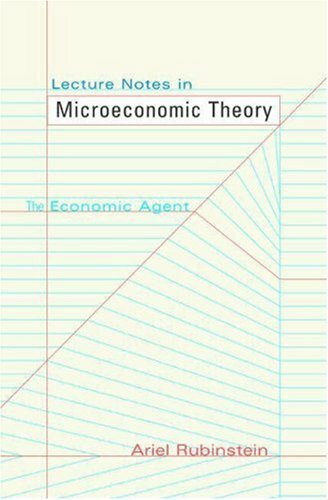 The first publication of Ariel Rubinstein's lecture notes from the first part of his well-known course in microeconomic theory, which he has taught for fifteen years to first-year graduate students at Tel Aviv, Princeton, and New York universities. The book will be an invaluable supplement to primary textbooks in microeconomic theory. The book focuses on and provides a critical assessment of models of rational economic agents, and it contains a large number of original problems.